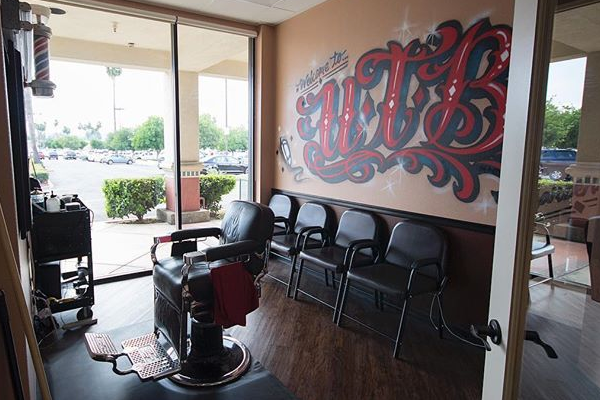 UTMB is located inside the Phenix Salon Suites at 4200 Chino Hills Parkway Suite 650, Chino Hills, CA 91709. Hours are 9:00 AM to 7:00 PM Tuesday through Friday and 09:00 AM to 4:00 PM on Saturday. By appointment only. UTB provides all types of hairstyles and haircuts from pompadours, mullets, south of France, flattops, slick-backs, combovers, faux hawks, razor-fades, etc. Additionally, straight razor shaves, and beard lineups. Fades include high fade, medium fade, low fade, and taper fade. Hello my name is Ulysses Gonzalez and I am a man of my craft. I started cutting when I was about 12 years old, kept doing it as a hobby, and now excelled into pursuing it as my career. I received my license in 2004 and have been cutting for 14 years now. Cutting hair comes natural to me and I love that I can make someone's day by a single haircut.